SALT LAKE CITY, Utah — In 1980 Congress passed the Refugee Act, a landmark bill setting the current standard for refugee resettlement in the U.S. Since the bill’s passage, nearly 3 million people have found refuge in the U.S. as the number of displaced people around the world steadily rose. Today, the UNHCR estimates there are 68.5 million forcibly displaced people across the globe, more than at any point in human history. While almost a third of these people are internally displaced, there are currently 25.4 million refugees in search of a new home. For those seeking a safer life in the U.S., the process of resettlement is long and arduous. After a series of referrals, background checks and interviews conducted by the UNHCR, the Department of State, U.S. Citizenship and Immigration Services and a third-party Resettlement Support Center, refugees are then referred to either the International Rescue Committee (IRC) or Catholic Community Services (CCS). Known as primary resettlement agencies, the IRC and CCS provide refugees with two years of case management, helping them navigate the complex American system. Once the two years is up, clients are referred to secondary support organizations that help with childcare, English as a Second Language (ESL) classes, career services and mental health care. In Utah, a state with more than 60,000 refugees, secondary support organizations are key to the resettlement process. 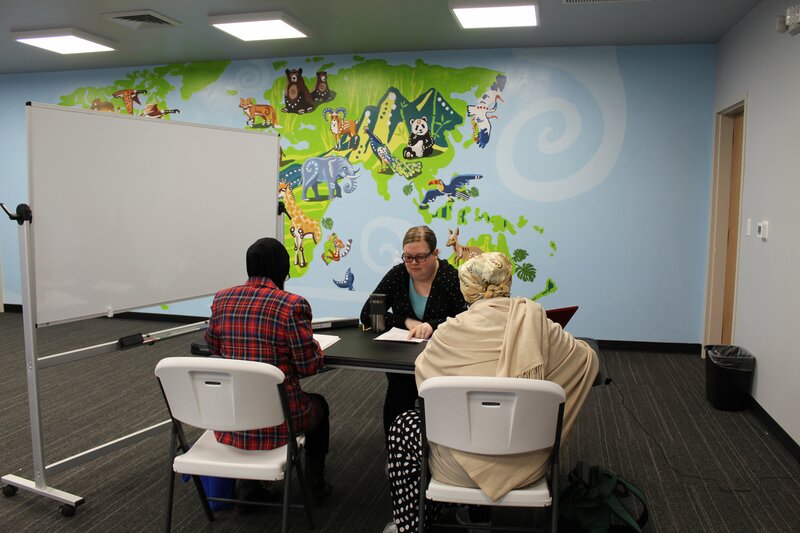 With three centers throughout Salt Lake City, the Good Samaritan Foundation (GSF) recently established itself as a community hub for refugee support. Founded by local business owners, Jim Woodward and Tom Lloyd in 2008, the GSF offers ESL classes and career services, helping refugees in Utah achieve self-sufficiency. The Borgen Project sat down with the GSF this past February in their newly opened Rose Park center just a few miles north of Salt Lake City. The needs of the Rose Park community are central to the GSF’s mission. “Instead of us coming in and saying ‘hey, here are the services we provide,’ we want to try to find out what the community needs,” says Danny Davenport, director of the Rose Park neighborhood center. “We want to be a puzzle piece to the big picture.” Partnering with local businesses, churches, schools and apartment complexes, Davenport and the GSF have made significant headway in public outreach. One of the hardest things thus far has been getting the word out, but by going door to door, meeting with prominent community leaders and hosting events, the GSF is slowly establishing themselves in the community. “It’s a work in progress,” says Davenport. One way the GSF addresses community needs is by offering walk-in services. At any time, people can come into the center with questions or concerns — if it is not something the GSF is equipped to handle, the client will be referred to an organization that is. Walk-in services help refugees in Utah with everything from paying bills or taking the bus, to referrals for mental health and childcare services. “We just want to be a place where people can come with any question and feel welcome,” Davenport told The Borgen Project. One of the most important skills for a refugee living in the U.S. is the ability to speak English. “Without English, you almost cannot function,” says Wise Ng, director of the Rose Park ESL program. 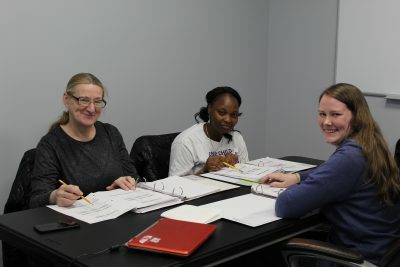 “You need English to get a job, to enroll your children in school, to just get around.” Using a life-skills approach to her ESL classes, Ng teaches her students phrases that help with things like public transportation, grocery shopping and job interviews. Technology is central to the Rose Park ESL program and Ng incorporates the internet into most of her lessons. With a full computer lab, her students, some of whom have never used the internet before, gain valuable and applicable life skills. Some of the biggest barriers to self-sufficiency in the refugee community are everyday tasks. Societal norms that most people take for granted like access to indoor plumbing, wearing a seatbelt or basic home maintenance are foreign concepts to some newcomers. By partnering with other nonprofits and businesses, the GSF frequently hosts events teaching refugees essential aspects of life in the U.S. The day after the Borgen Project met with the GSF, the Rose Park center hosted a home maintenance workshop, educating refugees on mold, home maintenance and ways to cut back on utilities to save money. Despite being integral to the communities they serve, refugee support organizations across the country are facing crippling budget cuts. And while large-scale, international organizations like the IRC or CCS can withstand a decrease in government funds, small, community-based organizations cannot. “There are nine national refugee resettlement agencies and due to budget cuts it’s likely one or two will no longer be involved in the process,” says Rachel Appel, Community Outreach Fellow for the ACLU of Utah. Appel, who helps integrate refugees into the Salt Lake City community by pairing them with volunteers, is nervous when it comes to the future. “It will be difficult to build the program back to what it was. The cuts are appalling…Refugees are an asset to our society,” she told The Borgen Project.